PALATKA – Saturday, Nov. 17’s Putnam County Historical Society program will bring back memories of school days for longtime area residents. 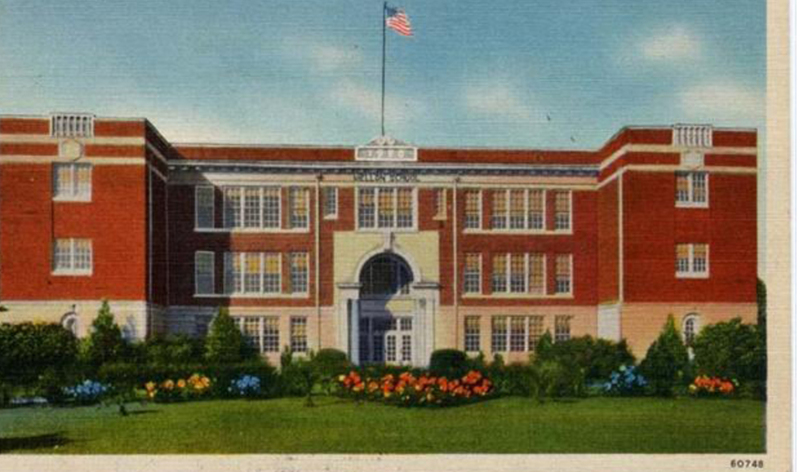 For some 30 years a two-story, red brick building between U.S. 17 and then-Lemon Street (now St. Johns Avenue) was where many Putnam County students attended high school. It was a wealthy Northern visitor who helped find a way to get people to vote in a bond issue to build the school on land he donated. Saturday at 11 a.m at the Bronson-Mulholland House, 100 Madison St. Palatka, you can hear the story of the Mellon School and the contributions James Ross Mellon made in its establishment. Carey E. Ferrell, a former Putnam County school superintendent and state education official, is guest speaker. James Ross Mellon (1846-1934) was a member of the wealthy and influential Mellon family of Pittsburg, Penn. He came to Florida in 1883 and for more than 40 years spent his winters in Palatka at his residence on Emmett Street. Mellon and his wife Rachael Hughley Larimer were very involved in the community during their years here. Mellon donated the land for the Mellon School/Putnam High School to the west of the Putnam County Court House and supported the education system in the community. The Larimer Memorial Library (now Larimer Arts Center) was built by Mellon and donated to Palatka in memory of his wife. Ferrell was born in Palatka and was raised in San Mateo. He graduated from Putnam High School in 1947 and entered Stetson University. He withdrew from school when the Korean War broke out and enlisted in the U.S. Air Force, serving with the 19th Bomb Wing in the Pacific theater. Upon discharge from the military in 1955, he returned to Stetson to finish his degree. He met his future wife, Libby, while in college and they married in 1956. After college the Ferrells settled in Palatka where Carey worked in the family office supply business and Libby taught school. Several years later he was offered a position with the Putnam County School Board. In 1966 when the school superintendent resigned, Ferrell was appointed by the governor to complete the unexpired term of the superintendent. He subsequently was elected to two terms as superintendent. In 1971 he resigned his position as superintendent to accept a position with the Florida Department of Education in Tallahassee, eventually heading the Department of Public Schools with responsibility for the statewide K-12 program. The program is free and open to the public. Light refreshments will be served immediately following the program. The November, 2018 meeting of the Board of Directors of the Putnam County Historical Society begins at 9 a.m. Saturday, Nov. 17 at 9:00 AM at the Bronson-Mulholland House. At 10 a.m. we will be hosting members of the Historical Society of Orange Park. They will be touring the Bronson-Mulholland House and the Putnam Historic Museum and will be attending the November, 2018 membership program. Please plan to stay after the Board meeting to greet our visitors from Orange Park and make them feel welcome.